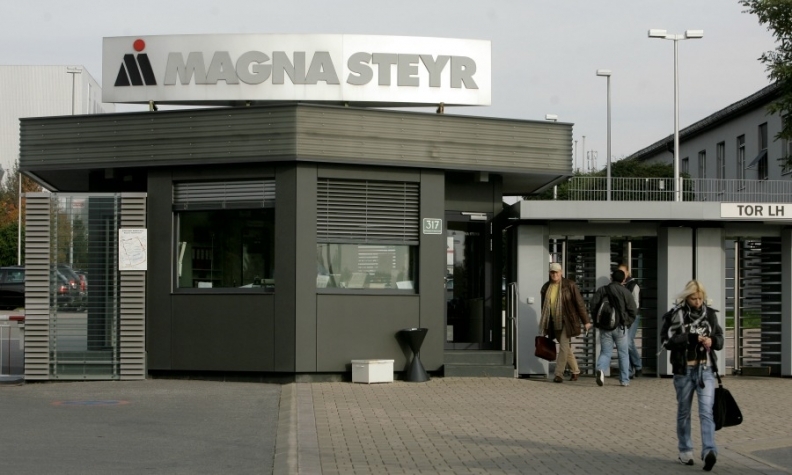 VIENNA -- Canadian auto parts maker Magna International may build a new plant in Europe as its Magna Steyr factory in Austria runs out of capacity, the head of its European business, Guenther Apfalter, said. Magna, which makes parts for most of the world's automakers and also assembles vehicles under contract, currently builds the Mercedes G class for Daimler at its Graz plant in eastern Austria and will replace the production of BMW Group's Mini Countryman with the BMW 5 series in March next year, according to the Automotive News Europe plant assembly map. In September, the Canadian company said it was mulling a new plant following the 5-series order from BMW. Jaguar's full-electric I-Pace SUV will also be constructed at Magna's Graz plant from next year. "Should the Graz plant become overloaded, a new factory nearby might be an option," Apfalter told weekly Automobil Produktion in an interview published Tuesday. Automobilwoche, a sister publication of Automotive News Europe, reported in September that Magna was mulling Slovenia as a possible location for the plant and would build six models for four different automakers, including Toyota, from 2018. Magna, based near Toronto, ranks No. 3 on the Automotive News list of the top 100 global suppliers with worldwide sales to automakers of US$32.1 billion in 2015.